Every employee at Solmet Technologies is committed to making their community better, and we encourage all employees — at all levels of the business — to give their time and money to civic engagement and charitable causes. Whether we’re sitting on a local board or rolling up our sleeves in the trenches of civic service, we pride ourselves in making our Northeastern Ohio community better. We give back because we care about making our community a better place. Our employees sit on various boards, are involved in their local government and participate in leadership programs. 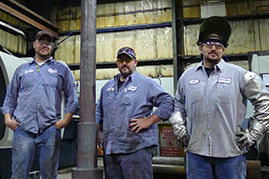 Our company has won many awards because of our employee contributions to making the community better. We give back to our community not for the awards or recognition, but because we have a genuine interest in leaving this community in good standing to future generations. Contact us to learn more about Solmet’s community engagement and how you can get involved, too. 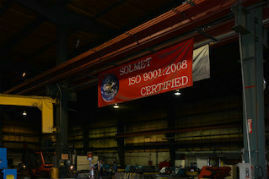 At Solmet Technologies, we base our company’s principles on strong American values. Learn more about Why Solmet? 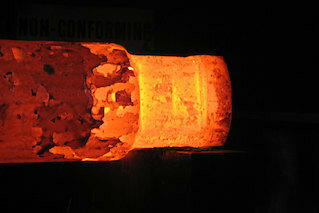 In the mid-1980s, the steel industry was enduring rapid changes. Our team is comprised of many hard-working, talented and loyal individuals who all work together to forge relationships with our clients, with each other and with the community we share. 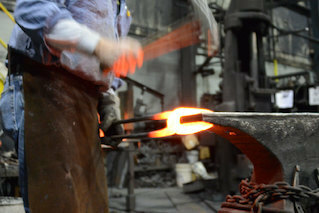 Located in Canton, Ohio — the heart of the Midwest — our 35,000 square foot facility houses our offices, forging equipment as well as testing and blacksmithing equipment. 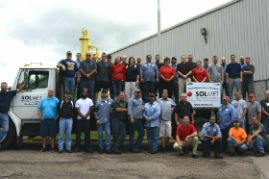 Every employee at Solmet Technologies is committed to making their community better, and we encourage all employees — at all levels of the business — to give their time and money to civic engagement and charitable causes.